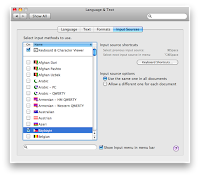 Your standard "Keyboard Layout" settings can be changed in order to access international language or special characters assigned to Unicode ranges within particular fonts. Most of these Unicode blocks/range contain the characters that you can not normally just type directly nor with a combination of specialized "short-cut" keystrokes or commands. 1) Easily accessible characters on a standard western keyboard layout. - they replace the usual Alphabet letters (Basic Latin Characters) so your normal keyboard layout can select & type Baybayin script characters as soon as you install the font in your computer. With this, the font can be used in any word processing or graphic editing software. A couple of years ago, JC John Sese Cuneta (JC) and the Ubuntu Philippines LoCo Team started development of the Philippine National Keyboard Layout. They created a standardized layout for Baybayin (Unicode). 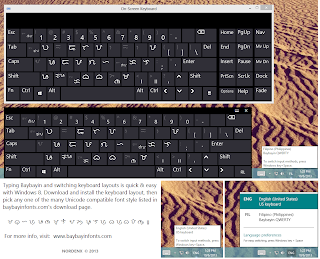 Visit JC's site The Hæven of John to learn how to download and install the Baybayin Keyboard Layout that matches the type of keyboard and operating system available on your machine. 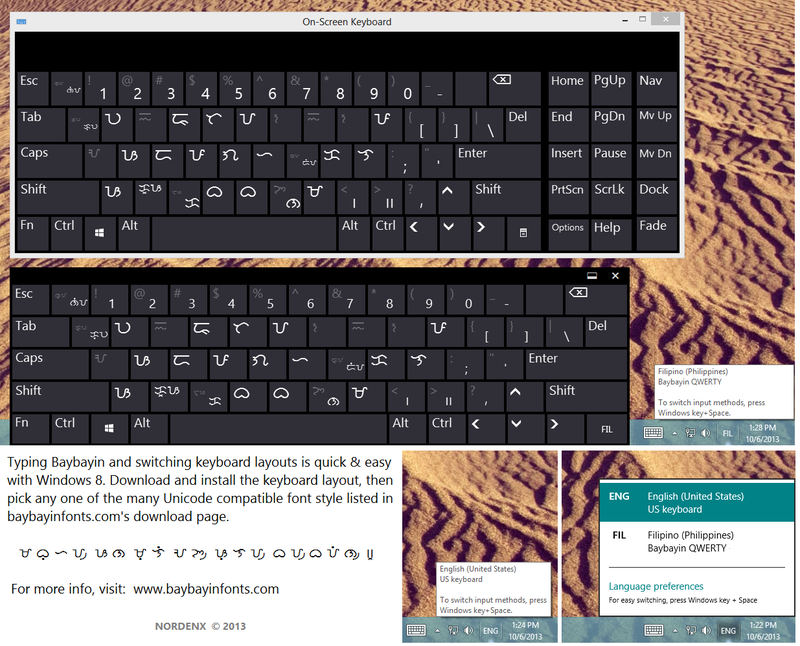 To install the Baybayin Keyboard Layout for Mac OSX, download and save the bundle file to "/Library/Keyboard Layouts". That is a folder called “Keyboard Layouts” in the "Library" folder at the top level of your startup disk or home folder. You can create the folder if it doesn’t already exist. You need to restart your Mac after saving the file for the keyboard layout to activate. Note: You must have at least one Unicode compatible Baybayin font installed in your machine for this layout to work properly. If you only see square boxes, download and install a font from -> here <-. 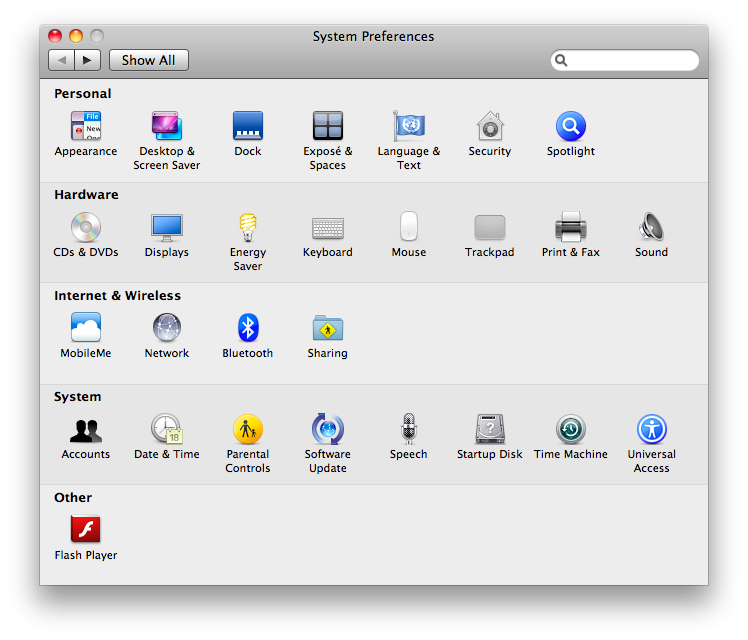 In the System Preferences, click on the International Preferences or the Language & Text icon under the Personal group. In the Language & Text pane, you need to click on the Input Sources or Input Menu tab (at least on 10.4 and 10.5). In the list that is in the "pane" (what Mac calls a "panel" or window), you should be able to find the keyboard layout that you have installed, in this case it is called Baybayin (it should have a Philippine flag icon). Once you have found your keyboard layout, you need to ensure that the check box in the first column is checked, which will not be the case when the keyboard layout is first installed. 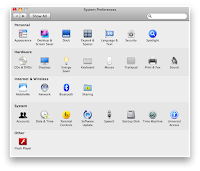 Also ensure that “Show input menu in menu bar” at the bottom of the window is checked. The second step is to enable the keyboard from the Input menu. The Input menu is on the right of the menu bar, and usually has a flag there, corresponding to the current input source (keyboard layout or input method). If the Input menu is not shown, it has to be enabled in International Preferences described above. You then can activate your keyboard layout by selecting it from the menu. Once installed, you can easily switch between your default keyboard layout and the Baybayin keyboard layout any time from the Input menu. You can even view or check what characters are assigned in each key by opening the Show Keyboard Viewer from the Input menu. 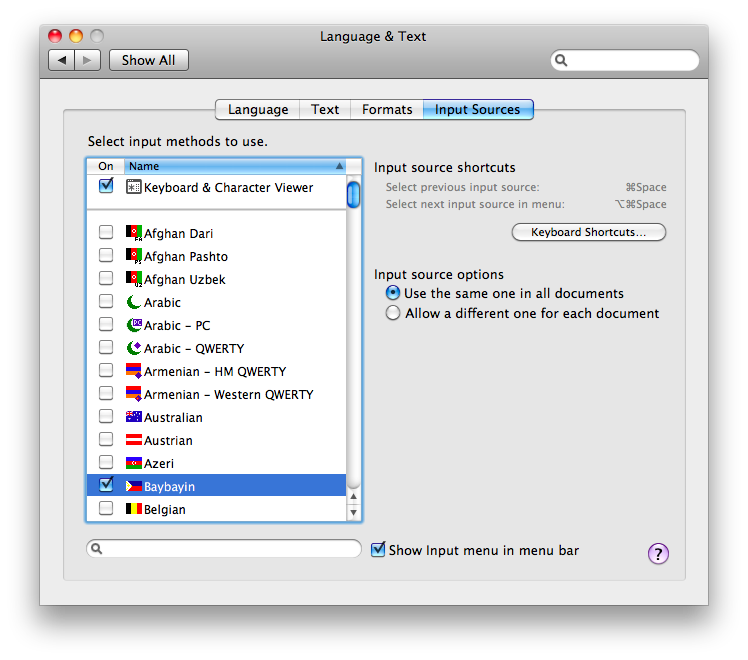 A Tagalog Keyboard Layout for Mac OS X was developed by Alex Ibrado a couple of years back. Alex's Unicode layout diverted significantly from the normal font characters assigned to the default keyboard layout; it felt disconnected. Alex erroneously also included the RA character in the Unicode range U+172D which is the Hanunuo RA in my Mangyan fonts; all my Baybayin fonts just like Paul Morrow other people's fonts, use U+170D for ᜍ RA. This is why I developed this new Baybayin Keyboard Layout to match the standard keyboard's flow when using the normal "non-unicode" characters in the fonts. *edit: Alex has since updated his layout. You can try out Alex Ibrado's setup too. -> click here <- and visit his site. Keep in mind that Mac's Safari browser has problems displaying Baybayin font's kudlit marks properly. The best web browser for typing & viewing Baybayin Unicode is Firefox. We would love to continue designing & developing more free Baybayin fonts for everyone. Though this is a labor of love and we don't expect anything more than your sincere thanks for all our hard work and research, we still need some support to survive and go on giving you the best Baybayin Modern Fonts for free. So, if you feel like supporting this cause, please don't hesitate to donate to this project. We greatly appreciate your generous contributions. Thank you ~ Nordenx. I am a graphic designer and Philippine Script (Baybayin, Kulitan, Surat Mangyan, etc.) font developer. I do workshops and academic presentations about Philippine writing systems; its history and modern day applications. I've done presentations at universities and cultural centers in Tokyo, Taiwan, The Philippines, and the United States. Baybayin Modern Fonts™ ● Nordenx © 2006-2014 ● All rights reserved. Picture Window theme. Powered by Blogger.